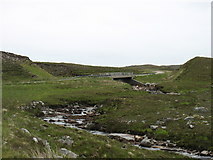 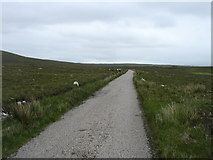 The Loch Hope Road is a 32 km (20 mile) minor road in Sutherland, connecting the A838 with Altnaharra on the A836. 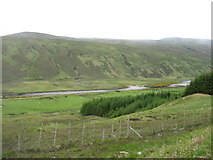 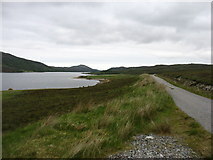 The A838 is the main route along the north-west coast of Scotland, and the A836 connects Lairg and Tongue (and then heads east to Thurso). 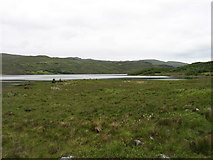 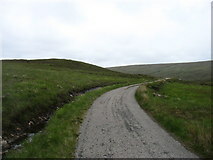 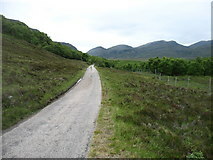 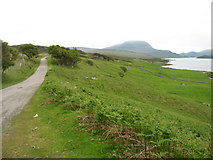 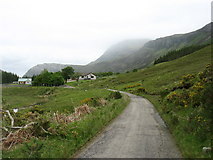 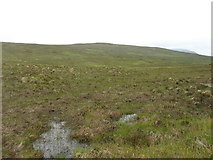 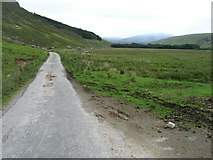 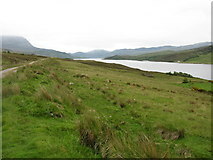 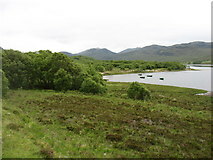 The Loch Hope Road itself, designated C1034, is single track and has very few passing places. 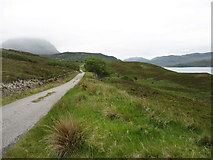 Perhaps fortunately, it also has few residents! 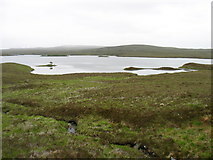 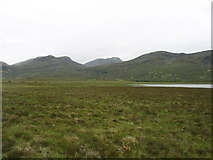 Apart from them, the main users are fishermen, and walkers wishing to climb Ben Hope, the most northerly Munro. 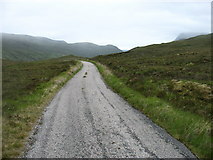 During the four hours of this drive I met only three vehicles coming the other way. 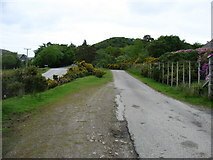 One was the post office van. 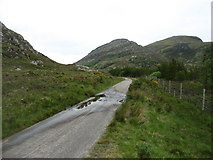 I thought it would be interesting to record a chain of photos along this road. 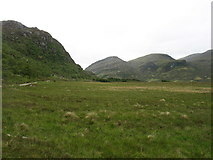 This sequence is, with very minor exceptions, in north to south order. 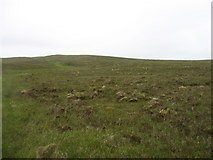 The last few squares (near Altnaharra) had to be left to the next day, and so have been included in Part 2. 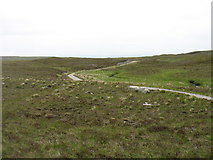 The single most interesting object on the road is the Dun Dornaigil Broch, in NC4545. 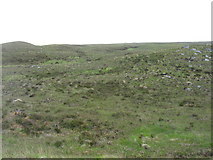 You may wonder why that is not shown here. 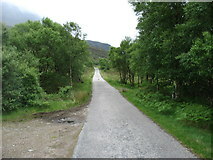 That is because there were several photos already on site. 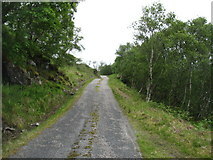 Here, near Hope Lodge, the Loch Hope road leaves the main A838. 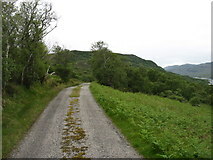 Looking towards Ben and Loch Hope. 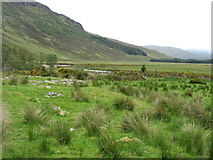 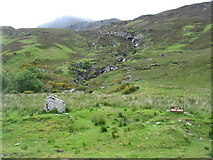 Part of Braesgill Farm on the left. 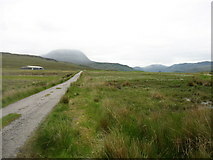 A cloud-enshrouded Ben Hope is on the right. 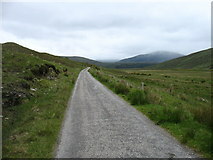 The lower slopes of a distant Ben Hee, seen from the Loch Hope road.